Ilan Ofek, CEO and founder of Visual Factory, a 3D immersive social network startup. Founder and CEO of Visual Factory, Ilan Ofek, is a 20-year veteran in the defense industry whose last role was as ST Electronics‘s CTO for Training & Simulation Systems, and these days he brings his knowledge in image understanding, simulation systems and advanced artificial intelligence to build his 3D immersive social network startup. Ilan founded Visual Factory in Singapore when he recognized the growth opportunities for the country’s booming interactive digital media (IDM) market, largely driven by the massive interest and investment from the Media Development Authority of Singapore in growing this sector. 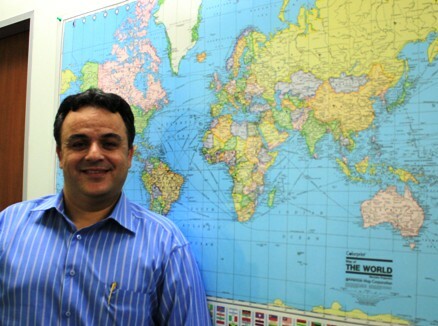 Ilan then brought Shamim Akhtar on board as CTO and a member of the board – the expert in computer graphics worked on the design and development of the game engines and renderers. Ilan also pulled in Gerald Lui, with his experience with project management, to develop the startup’s business and markets. Together, the three of them comprise Visual Factory‘s core team. 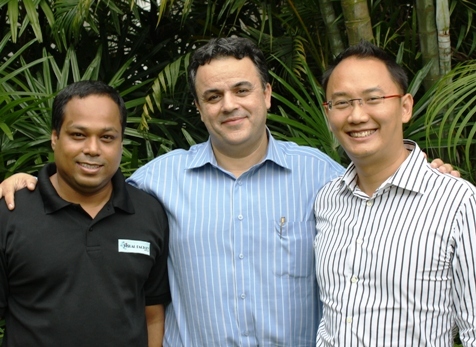 Ilan with his core team members - Shamim Akhtar (L) and Gerald Lui. “The existing solutions in the digital media industry seems to be like in bits and pieces,” says Ilan, “which spells out a great enormous potential fro an entrepreneur to build the next-generation 3D composing tool.” Which is exactly what Visual Factory did with MagicStitch. MagicStitch is developed as a set of tools for professionals and non-professionals alike to create their own 3D immersive solutions – a technology enabler for the IDM market, if you like. The virtual community platform allows the creation of products supported with 3D immersive graphics, geo-tagged information, a multi-user environment and even an internal economy. 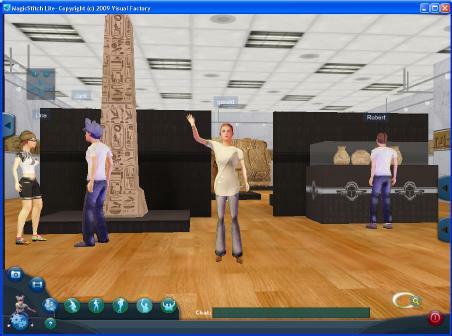 A 3D avatar exploring a virtual museum. The largely self-funded startup sees Singapore, China and Europe as key markets. 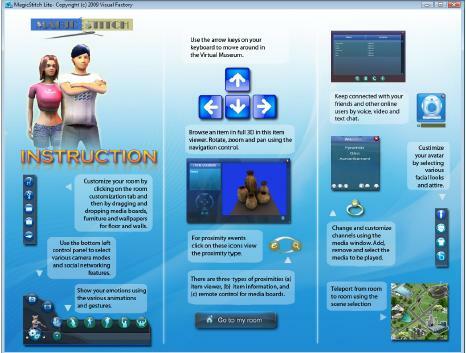 Thanks to some help from MDA – who also provided them with a grant to develop the platform – Visual Factory has already landed and is currently managing two projects: a virtual museum for the Singapore’s National Heritage Board, and an “e-town” for the various government culture, recreation and sports agencies to experiment with 3D content. These days, the company is seeking additional funding to invest in marketing.